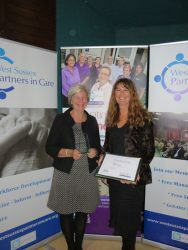 We were delighted to be a finalist for the West Sussex Partners in Care Accolades this year. Valerie Manor were finalists for the end of life care award which we were very proud of. 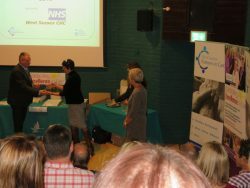 Alison our Deputy Manager and End of Life Care Coordinator along with Jane Carrington Smith our End of Life Care Clinical Champion attended the awards to receive our trophy and certificate. We were absolutely delighted to attend the West Sussex Care Accolades award ceremony yesterday with three of our residents. 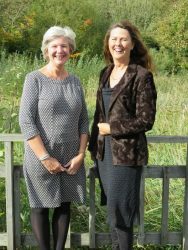 The event was held at the Wetlands Centre in Arundel where we had a lovely buffet lunch followed by the presentations. If you asked any member of staff, a resident or a visitor what they thought about Nilly they would say ‘Sunshine’. Nilly really does bring a ray of sunshine to everyone at Valerie Manor with her huge smile whatever the time day or night and her kind heart. Nilly would do anything for anyone and without exception always have a smile on her face which brightens everyone’s day. Here at Valerie Manor all staff pride themselves in how we care for our residents and their families at the end of their life but all staff would agree that Collette excels in end of life care and is always there for the residents and their families – often being known to be here around the clock to ensure not only the physical needs are met but emotional needs of the resident, their families and also other staff. Collette not only has the support of the staff here but her family as they will step in to care for her children to allow Collette the time to be here with the residents and their families during the final stages of their life. Often just having the comfort for the resident of just knowing that Collette is sitting there beside them. We were delighted to hear recently that Linda Norman, one of our registered nurses won the Shake Up September Work Challenge! Well done Linda – we are all very proud of you here at Valerie Manor! I’m shaking and crying at the same time as I can now announce that Valerie Manor is the first care home in West Sussex to have been awarded an ‘Outstanding‘ rating from the Care Quality Commission. 1088 establishments have been inspected in the UK to date and only 18 have received this highest rating! We are waiting for the full inspection report but some verbal comments received from our lead inspector made me so very proud. I’m sure you can imagine I could not be happier and so proud of all the staff not only being the National Care Team of 2015 but to also have their hard work and personalised care recognised by the CQC.